The Sitzmark Ski Area is located just east of Oroville, WA. 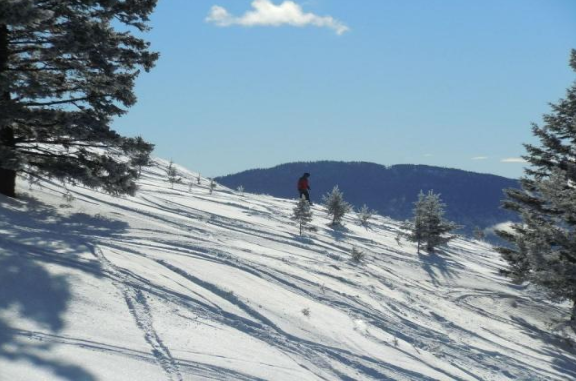 It has one double chairlift, a rope tow and bunny hill, and a new terrain park, with a total of 80 acres of skiable terrain. Elevations is 4300 feet at the base and 4,950 feet at the top. The Sitzmark Ski Lodge is located 20 miles northeast of Tonasket, WA on Havillah Road. Telephone 509-485-3323.